A Wider Bridge invites you to a discussion moderated by our Executive Director ,Arthur Slepian. Refugees Without Refuge: Stories of LGBTQ Refugees stranded in the Middle East – with Subhi Nahas, Human Rights Activist, Founder of the Spectra Project. Thurs. July 27th at 6p. at the Commonwealth Club, 555 Post St. S.F. 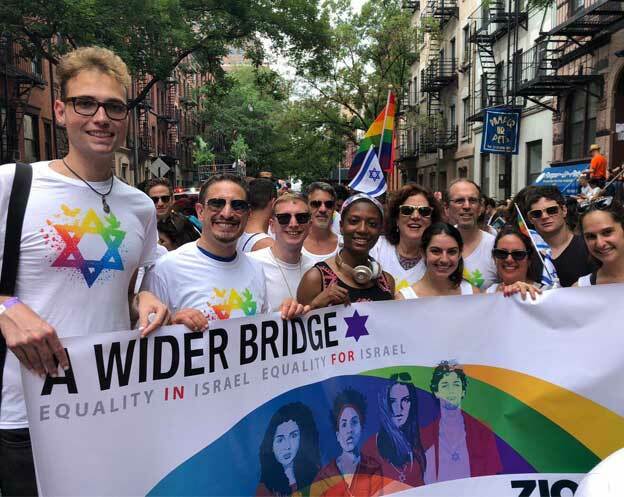 RELATED: A Wider Bridge is raising $5,000 to support the Aguda-Israel LGBTQ Taskforce’s LGBTQ Refugee Program, which assists at-risk LGBTQ refugees fleeing Middle Eastern and African states.